Based on who you ask, the term "backlog" is either defined as "an accumulation of something, especially uncompleted work or matters that need to be dealt with" or "my entire goddamn steam library!". Gaming Backlog was never really a problem for me for a very long time - as a child I played whatever games I got as gifts/saved up for with chore money, which was not very many, we played a lot of games over and over. When I got a job in high school I just bought games and beat them to death, never really allowing them to stockpile. Right out of high school I was working full time and more than ever before, I was financially stable enough to buy the games I really wanted to play. I was taking advantage of crazy steam sales, visiting game stores while I was out and about and I even started dabbling in collecting games in general, including a lot of old games I never got the chance to play as a youngster. That time of my life paired with my current LAN Mob lifestyle has amassed a back log so massive it's borderline shameful. I try to play when I can but I just can't get the raw game time I used to have, and everything is really piling up. On top of my never ending list of steam games, and old PlayStation games, just the last few weeks alone has added Yakuza 0, Nioh, Digimon World: Next Order, Night in the Woods, For Honor, Horizon: Zero Dawn, Zelda Breath of the Wild and Nier Automata to my game library. I'm a dirty video game hoarder and I have a problem, but I know I'm not the only one. So what do we do?! There are multiple Reddit pages dedicated to confessing shameful backlogged games, helping other players organize their backlogs, and even threads of "Reddit, tell me what to play next". It's an epidemic! One of the first steps to conquering the backlog mountain is to prevent it from getting any bigger. In theory this is pretty simple, all you have to do is stop buying games!...Haha. I'm willing to bet almost everyone reading this has been guilty of buying a game that they don't touch for a long time, even after resolving otherwise. Don't worry, me too. I think this isn't always a total lack of control, I've certainly bought games knowing well I wouldn't play them for a while. Whether it's due to a pre-order bonus, or being worried a game may not stay readily available, catching a sale, etc, etc, taking advantage of limited time offers can still stack your backlog really fast. I think the "water cooler effect" also comes into play, people certainly want to be able to talk about the newest games with their peers. I'm currently at a point where my backlog is so massive I'm seriously trying to resolve myself to buy absolutely no more games until I get through it, even if there's a really good sale (besides an extra special case of Persona 5...). This will be extra difficult because there seems to be a constant supply of genuinely good games releasing in 2017, but it must be done! Now that you've resolved yourself to stop the problem from getting any bigger, it's time to develop a plan. There's plenty of ways to start a plan of attack but the most effective is definitely making some sort of list. I recently started building a spreadsheet on my PC to keep track of all the games I'd like to play/games I've started, etc, etc to organize myself for Persona 5's release. I quickly realized that my spreadsheet wasn't as clean as I'd like, and after a visit to Reddit, I found www.backloggery.com. This website is a total godsend, and I'm slowly moving all of my data over. Backloggery allows you to enter each game in your log in its current game-time state, whether it be unplayed, unopened or on the verge of completion. There's even advanced options like achievement completion % and a fortune cookie feature that tells you what you should play next! Not even close to a complete record, but it's a start! Whether you choose to utilize Back Loggery or not, I have some extra tips for added organization and overall plan of attack! 1) All Stars - You know those special games you find yourself counting the days to? The games you feel like you've waited a lifetime for? Those games that have you staying up until 8am ON ACCIDENT? I like to label these games differently while organizing my log, usually with a star, or special mention. Don't feel guilty about letting these games cut in line. 2) Genres - If you're trying to get through a lot of games, I think it's incredibly important to jump around genres. Don"t burn yourself out on 10 JRPGs in a row, try switching around when you can. 3) Give Up - Sometimes you have high hopes for a game and it's really disappointing. If you find yourself struggling through a game like a chore, or if you get so behind on a game and you have no intention of picking it up again, it's okay to throw in the towel. It's pretty impossible to play every single game, as much as you'd like to. 4) Evergreen Games - I find myself dumping a lot of time into League of Legends, Project M, Smash 4 and Overwatch, sometimes on a weekly basis. Lately I've been trying to cut back on these, only to cut through the bulk of Q1 2017 games. I'm surprised at the extra game time I've cleared up by taking a break from these titles! 5) Outsourcing - I like to say "If you genuinely recommend me a game, I'll definitely play it! ", but in recent years I have failed on this front. 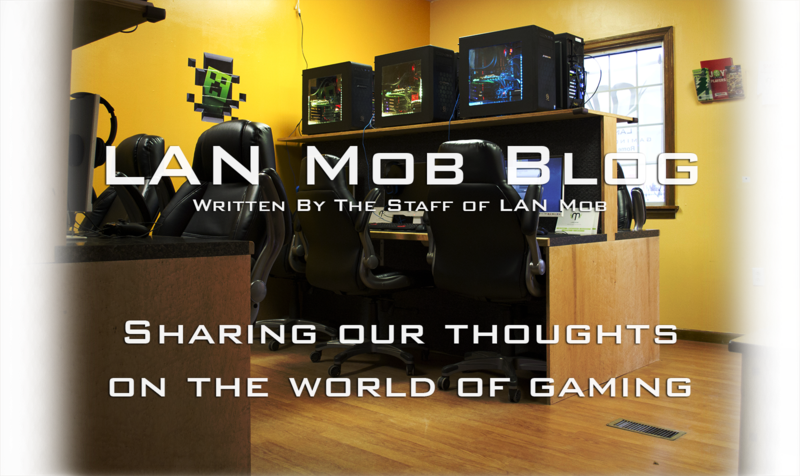 One of my guiltiest backlogged game series is Mass Effect and if you follow our blog, you're already aware my good friend (and LAN Mob guest blogger) Dictator is a massive fan of the series. In my latest organization on Backloggery, I'm adding MUCH more weight to my good friend's favorite games. I WILL play Mass Effect! (Right after Persona 5). 6) Have fun! - At the end of the day, despite the stress of trying to organize and budget your time, gaming is all about fun. The overall goal of tackling your backlog is to enjoy the great games you've stockpiled over time, and experience all of them. This is a (fantastic) hobby, not a chore. I sincerely hope my attempts to get myself organized and experience more games has helped any readers looking to do the same. Gaming backlog is a uniquely interesting issue as a LAN Center employee. I want to be able to help anybody with any questions they have about ANY game, and be able to hold conversation about many more, not to mention the "water cooler effect" is stronger than ever. Special shout out to Bossman who gave all of us some extra time last week to catch up on some of our games! Breath of the Wild is shattering every plan I had in place. 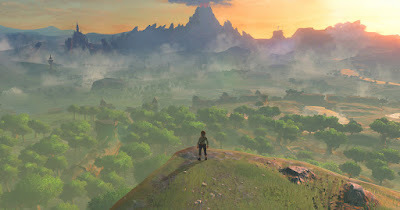 Luckily I don't even own the game, so I'm being kept in check but it quickly climbed up in priority and may be one of my favorite games of all time (I'm completely serious). Check back soon for a BOTW vs Horizon: Zero Dawn blog post! Gaming Before Bed - How do you unwind? Games I Got to Play at PAX East 2017! YOU EXPECTED A Pokeblog, BUT IT WAS ME, NIOH!